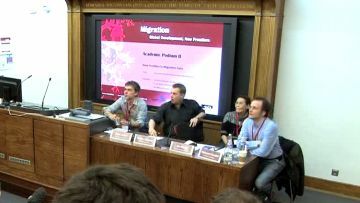 Academic Podium, How to Gather and Use Data for the Analysis of Migration: Administrative, Survey-Macro and Micro-Longitudinal Data, Frédéric Docquier (Catholic University of Louvain), Frank Kalter (University of Mannheim), Xin Meng (Australian National University). 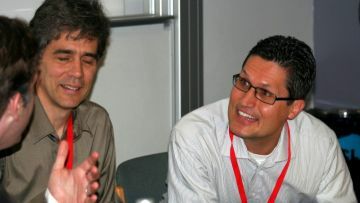 Chair: Giovanni Facchini (University of Nottingham and University of Milan). Invited Session on Globalisation and Migration, Tim Hatton (Australian National University) and Jeffrey Reitz (University of Toronto). 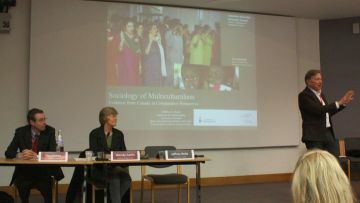 Chair: Wendy Carlin (University College London). 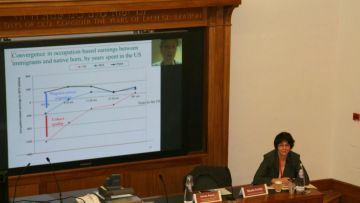 Academic Podium, How do economies benefit from the inflow of migrants and the resulting diversity of skills?, Thomas Lemieux (The University of British Columbia), Ethan Lewis (Dartmouth College), Giovanni Peri (University of California, Davis). 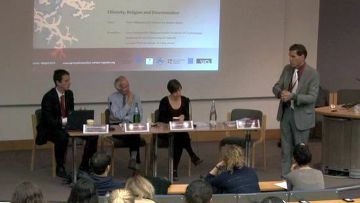 Chair: Steve Machin (University College London). 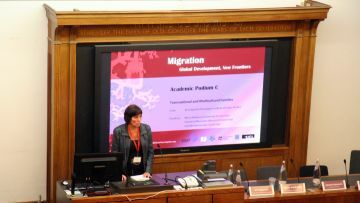 Academic Podium, How Families Cope with Various Forms of Migration. How are Family Ties Influenced by Transnational Living Arrangements? What Role do New Technologies Play? What is the Effect of the Resulting Cultural Mix on Childrens’ Outcomes?, Mirca Madianou (University of Leicester), Valentina Mazzucato (Maastricht University), Judi Mesman (Leiden University). 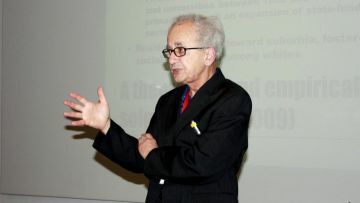 Chair: Brit Oppedal (Norwegian Institute of Public Health). 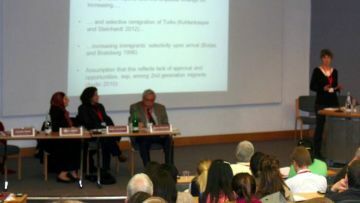 Policy Event, Migration: The Key Challenge for the EU? 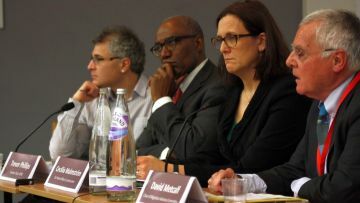 Speaker: Cecilia Malmström (EU Home Affairs Commissioner), Discussants: Jonathan Portes (Director of the National Institute of Economic and Social Research), David Metcalf (Chair of Migration Advisory Committee). 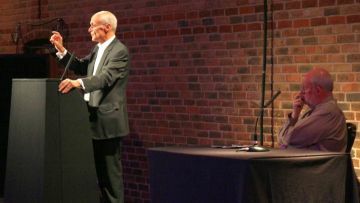 Chair: Trevor Phillips (Former Chair, EHRC). 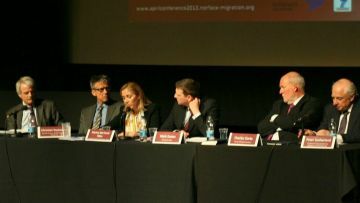 Policy Podium, How should Governments Best Address Trends in Migration? 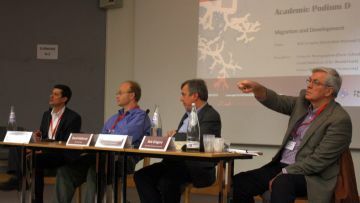 Malcolm Grant (President and Provost of University College London), Christian Dustmann (Scientific Director of the NORFACE Migration Programme), Charles Clarke (Former UK Home Secretary), Marina Del Corral Téllez (Secretary General of Immigration, Ministry of Employment and Social Security, Spain), Peter Sutherland (UN Special Representative for Migration and Development). Chair: Mark Easton (BBC Home Editor).